Three local businesses across Northern Ireland have helped to provide a lifeline of £16k to offer hope for those in crisis thanks to a unique recycling initiative. 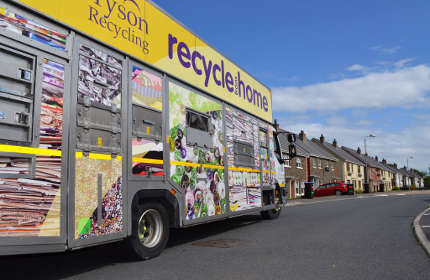 Bryson Recycling provides a weekly kerbside box collection to 170,000 homes, and for every tonne of paper, plastic and glass collected over the last year, three reprocessing partners, Huhtamaki in Lurgan, Cherry Plastics in Dungannon and Encirc in Fermanagh have all donated £1 to charity. ‘Recycling Rewards’, now in its third year, is an innovative campaign designed by leading social enterprise Bryson Recycling. 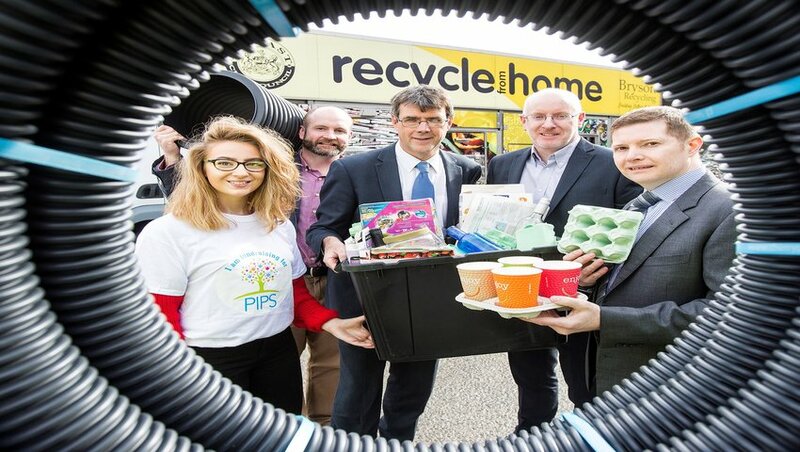 Aimed to raise awareness for a worthwhile cause and educate people about the benefits of recycling, the drive has resulted in 16,000 tonnes of materials being recycled locally and £16k will be donated to PIPS charity as a result. PIPS delivers Suicide Prevention and Bereavement Support Services, Counselling and Therapies throughout Northern Ireland. This vital boost will enable services to continue- without financial support the charity is only ever a few months away from shutting its doors. Bryson Recycling sends the paper, plastic and glass collected in kerbside box areas to the three campaign partners. Cherry Pipes, Encirc and Huhtamaki all reprocess materials collected from Bryson Recycling on a weekly basis work with well-known brands such as McDonalds, Bushmills and Baileys to provide quality products worldwide, including plastic pipes, glass bottles and egg boxes. 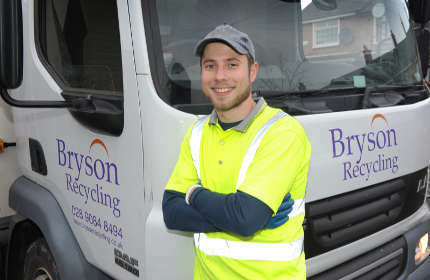 Eric Randall, Director at Bryson Recycling comments on the success of the annual campaign; “Recycling Rewards is now in its third year and is going from strength to strength. The amount raised this year has been the biggest to date and we are encouraged to see how communities can come together to support others and help the environment at the same time. PIPS charity provide vital support to individuals and families who have been affected by addiction issues and suicide. Suicide prevention is a hugely important issue that desperately needs more funding and the Recycling Rewards campaign has given us the opportunity to do this. Recent research indicates that Northern Ireland is facing a suicide epidemic and as the charity sector continually faces huge pressure to deliver important services to users, this support comes at a critical time. Desy Jones from PIPS added; “Recycling Rewards funding will in reality keep our doors open. Without contributions such as this- we cannot operate, as we are not government funded. Thanks to all the households and partners who have come on board to raise awareness for such an important issue through something so simple that we do every day in our homes. 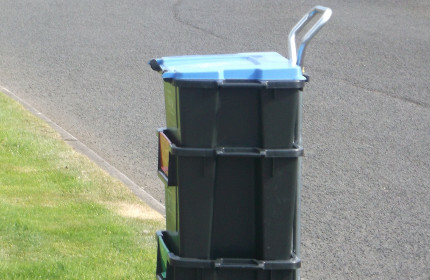 Weekly household collections are carried out a cross five council areas; Antrim and Newtownabbey, Armagh, Banbridge and Craigavon, Belfast, Lisburn and Castlereagh and Mid and East Antrim.